Richmond Overground & Underground station is a 2 minute walk away. The dining room can be reserved exclusively for up to 60 people seated or up to 100 people for a canapé & drinks party. The Duke offers possibly the best food in Richmond from the kitchen of our Head Chef, Primo, and his talented team. 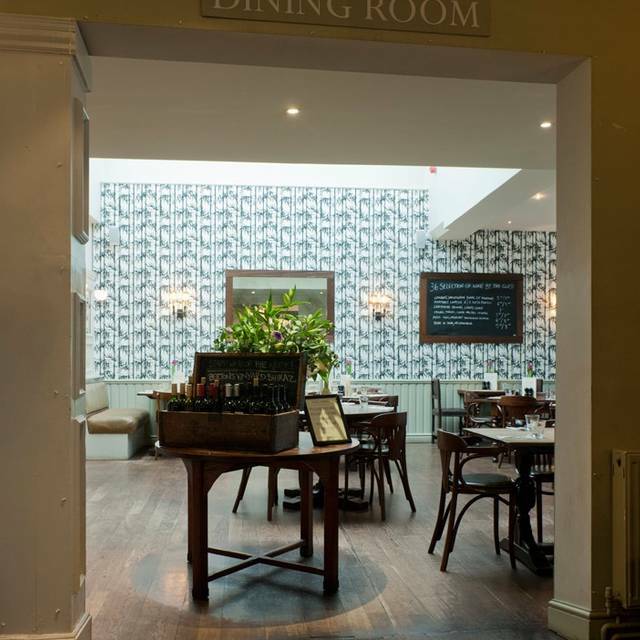 We offer fresh and seasonal dishes, a lovely dining room and a really beautiful Victorian bar if you want to meet friends for a drink. A great place for lunch and dinner, for a drink and fabulous Sunday roasts with the whole family. It’s a little treasure and a great respite from the bustle of Richmond’s town centre. Food was good except for inedible leeks. The service was ok but would have been better with more staff. We were early there evening before the theatre and had to hurry at the end. You may want to take a close look at the ladies toilets. They were fairly clean but the walls need a good scrub. The Duke is always great. It has a nice choice of beers for a pre-dinner drink and a good choice of dishes for a tasty, great value dinner. I always love going there, it never lets me down. Have no real complaints only the noise. It was difficult to talk to my friends. The Todd was good and the service was fine if a little slow on the night. Very happy with my Mother's Day lunch here. I asked for modifications to my meal and they got it right. I'm impressed as that never normally happens at other restaurants and I have to send the food back. Food was delicious. Waitresses very good. Prompt and attentive service with good food at reasonable prices. Would definitely return for another visit. Service fantastic, though have had far better roast dinners. The Merlot wine was sub optimal. The Duke is a good place to go with friends for a drink with friendly service and a nice atmosphere. But at least on this occasion, the food was disappointing and, though we’ll definitely go there for a drink again, we won’t be returning to eat. 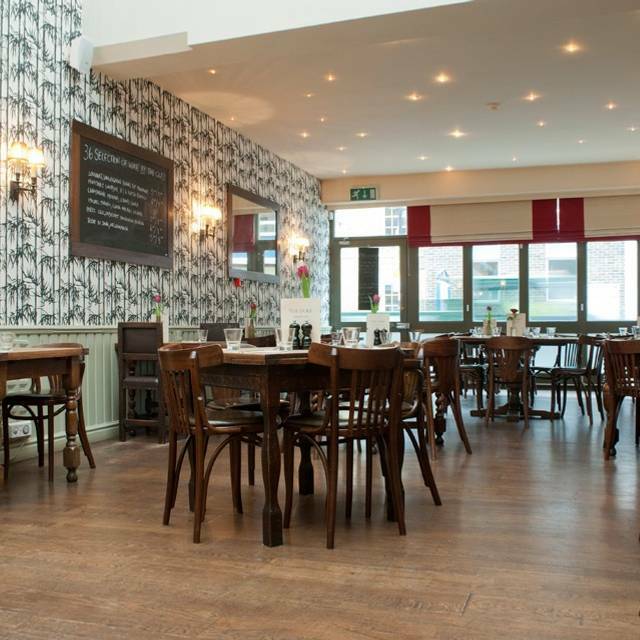 I enjoyed my recent Sunday lunch at The Duke the quality of food and drink were really good. Food was very good but we wondered what was going on with the service because the staff were very offhand. When we arrived they pointed into the restaurant vaguely where we should sit, so we just went in and chose a table unaccompanied, and then we felt like we were an inconvenience throughout our meal. The restaurant was very quiet at 7.30pm so it wasn't like they were run off their feet. All in all very odd and I shall not be going back! Our 2nd visit and the food was just as good as we remembered it. It was a little noisey due to a big party behind us but nothing really bad. Other than that it was totally enjoyable. Everything was great. The only thing that spoiled it was that the toilet seat in the bathroom was broken and the dryer didn’t work. Small details but takes something away from the experience. Convenient place for pre-theatre snack, with friendly service, but not a great gastronomic experience. Sunday lunch in February. A tad cold sitting by the window, but the heater was next to us and we were told how to switch it on. Friendly, prompt service. Good food. I would happily eat there again. Staff were lovely but food was awful!!! Great venue for buggies and dogs however! Great venue close to Richmond Theatre. Friendly staff but tend not to look around to see people trying to get their attention. Overall good place, though. Another enjoyable mea with good service before the theatre. We have been to the duke quite a few times before with great results but this particular visit was substandard poorly cooked food. We were too tired to complain but really we should have. Menu is good and the food is very nice. The sticky toffee pudding was cold, which was a shame as it would’ve been better hot. Nice atmosphere in the restaurant/pub. We had a warm welcome on arrival. The service was friendly and the food good. It's an ideal venue for dinner before going to Richmond Theatre just around the corner. Good service and decent food pre- theatre. Pleasant staff. On a chilly night it needs to turn the heating up though. It was quiet and we were really just looking for food rather than a posh meal. However it was really excellent with very nice friendly service. The food was lovely. Great starters of halloumi and crafter kipper pate. Then a fish platter. Yummy. Great choice of wines by the glass or bottle. A great find and worth a visit. The pub food was delicious and the service was akin to a restaurant but in an informal atmosphere. I would definitely recommend it for Sunday lunch. It was quiet when we got there but it quickly filled up. Close to the green but unfortunately no outdoor space. We booked for 6 people based on the Prix Fixe menu. Nowhere on your app did it mention the Prix Fixe finishes at 7pm. We booked for 7.15pm and were told it was a la carte or nothing. This is a fault of your app. The food was tremendous as always, and luckily we didn't really need much service as there were only 2 people for all the tables. Given that it was a Monday evening and we were eating after the show at the Theatre Royal, Richmond, it was very quiet at Duke's - only 1 other table that was coming to the end of it's meal. However - the very good natured staff had no issues with the fact that we barely got our order in by the advertised 'last orders' of 10:30 which meant that the hoped for 'early night' was scuppered. They were attentive and willing to accommodate all our requirements. The 'sharing board' that 3 of us indulged in instead of Starters was utterly wonderful! Plentiful and varied and looked a treat. Great good value! Our Mains were well presented and ample - if I'm honest the Burger I had could have been larger and it would have been nice to be offered the option of how I like it (bit over done for my taste) but the skin-on thick cut chips were very good (might like to think of crisping them up a bit more - but that's just being picky!) We didn't have deserts but all 3 of us requested different coffees and all were readily available - including macchiato which is sometimes not on the menu at some of the pricier places! I would definitely return to Duke's as a pre/post theatre venue - at £30 a head including a bottle of wine this is not bad value at all! The staff were attentive, but the steak was overcooked. We asked for medium and it was well done inside. We were offered a swap, but didn't bother. My lentil curry was watery and lacking in any curry taste. Lentils in slightly currified stock. The sticky toffee pudding was nice, but the chocolate torte wasn't very chocolatey, oddly, and really doesn't go with lemon sorbet. Probably won't bother coming back here - lots of other good restaurants in Richmond. We've tried it three times, so it's not just an off day. We came back because the menu offers good value and is near the theatre, but the food just isn't that good. It's also a shame that they don't offer the full menu until 7pm - some of the things on there look quite promising. Went here for a pre theatre supper on the 23rd June. My husband is a diabetic. We asked if he could have cheese and biscuits or a piece of fruit instead of the other choices for pudding. The waiter said no, wasn't even prepared to go and check. I said I was happy to pay more, but he said at that time of the evening they only offer the choices on the fixed menu. How much trouble would it have been to get a few grapes and some cheese together? Not impressed! Spoilt what would otherwise have been a tasty meal in a good setting. I chose not to take it further on the evening, as it was my husband's birthday, and we wanted to remain in good, upbeat moods! I was recommended this by a friend and booked at the last minute. The service was acceptable, not attentive or quick enough, but fine. The food was excellent - very surprised. We ordered the Sunday Roast platter for 2. Plenty of food, in fact too much! Happily recommend and go back! We chose this eatery based on personal recommendation. Typical gastropub décor but the friendly helpful staff and excellent pricing make The Duke stand out. 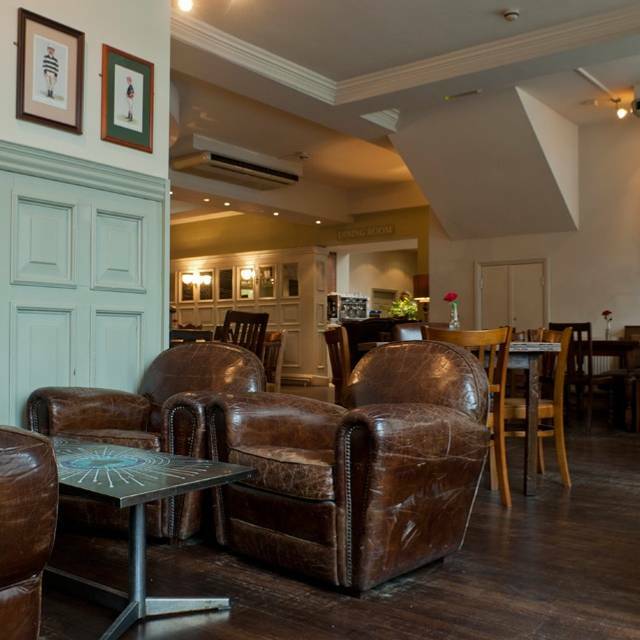 Perfect pre-theatre venue for the Richmond Theatre which is a very short walk away, it has a light and airy dining room with attractive and comfortable furniture. The menu has a small but interesting selection of meat, fish and vegetarian dishes, with a prix-fixe option. We found the food to be well-presented and delicious. There is a decent and reasonably-priced wine list. We arrived over 30 minutes early for a pre-theatre dinner, but the staff were more than happy to seat us at once, and we found them to be friendly and helpful without intrusion. Service was prompt, so we were able to enjoy a relaxing meal while still arriving at the theatre in good time. By the time we left, the dining room was full, but noise levels were still fine and there was a nice atmosphere. In all regards, a good experience, I would highly recommend and would certainly go back should I find myself in Richmond again. Food was tasty and well presented. Good size portions too! Friendly staff. Would definitely recommend! The staff were very polite and friendly although the service was very slow considering it wasn't very busy. Lovely food.